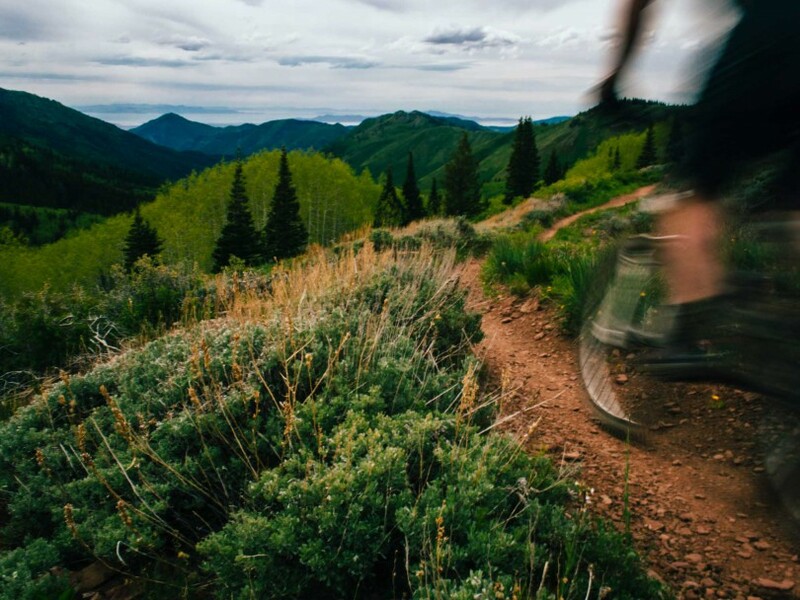 The Wasatch Crest is the crown jewel of bike trails in Northern Utah. 11/30/2015 Update: Our intent with this post was to galvanize the mountain bike community into taking a proactive position on land management issues both within the Wasatch & the West. We are not anti-Save Our Canyons, simply very pro-bike. In retrospect, we should have contacted Save Our Canyons for their input before publishing, as this seems to have caused quite a stir within the community. It was never our intent to mislead or mis-inform, but instead promote dialogue and engagement on an issue that many are deeply passionate about. Save Our Canyons has reached out to ensure us that their proposal no longer includes the Wasatch Crest Trail. Furthermore, they are moving forward with a proposal for a Wasatch National Monument designation that does include some Wilderness areas, the exact boundaries of which we are still unclear on. It is critical that we not only consider continued access to current trails, but also the impact any designations would have on future trail-building efforts. Additionally the bike community must stay engaged throughout the Wasatch National Monument & Mountain Accord processes, as this is very much in the beginning stages and if history is any indicator, proposals often changes with access lost overnight. Thank you for your interest and continued participation on the matter. 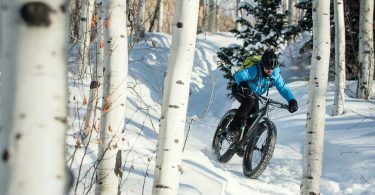 Why are Utah conservationists drafting a plan to keep bikes out of parts of the Wasatch? Save Our Canyons is currently in the process of drafting a plan to present before Congress that would seek Wilderness designation areas of the Wasatch effectively banning bikes on such lands. According to the Wilderness Act which was signed into law in 1964, bikes fall under the definition of “mechanized transportation” and therefore are prohibited from Wilderness lands (although it’s important to note that not until 1984 was the scope of the prohibition redefined from motorized to mechanized transport). While the exact perimeter or boundary the proposal would seek for designation is unclear, it’s likely that trails such as the Wasatch Crest or Mill D would be included. The loss of either trail would be a tremendous hit to the bike community, as the Wasatch Crest is repeatedly rated as one of the best rides in Utah, if not the country. The Save Our Canyons proposal is in effort to combat One Wasatch, an initiative to connect all of the Wasatch area ski resorts. While we’re not necessarily proponents of One Wasatch, we are most definitely against any efforts that would put in place sweeping restrictions on bikes in the Wasatch. We’ve expressed our frustrations with the Wilderness Act before, and this is yet another example of how the poorly defined and managed legislation divides conservation efforts by pitting user groups against one another. Whether you’re a hiker, mountain biker, equestrian, or backcountry skier, we ultimately share the same end-goal of preserving land from development and for recreation. Earlier this year, many Idahoan’s lost their beloved backyard trails due to similar Wilderness legislation. Should the proposed Wilderness legislation go to congress, mountain bikers would be forced into the corner of opposing conservation efforts in order to maintain continued trail access, pitting mountain bikers against backcountry skiers and conservationists. As the west continues to rapidly develop, our public lands are increasingly at risk, which is why it’s imperative that we work to ensure our voice is heard both as conservationists and mountain bikers before it’s too late. 1. Contact Save Our Canyons. Ask that they not pursue Wilderness designation from congress and instead seek National Monument Status for the land in question. 2. Donate to the Sustainable Trails Coalition who have retained a government affairs group to fight the blanket ban on bikes in Wilderness areas. Like riding bikes to high-alpine. swimming holes? Then act now to help Save Bonanza Flats. Please strongly consider changing your message away from National Monument as an alternative. Other Companion Designations would be just as effective, and could be customized to achieve desired results. National Monument designation failed in Idaho because of it’s anti presidential stigma. Don’t make the same mistake in Utah! Sierra Club is a joke! Agree to disagree on Idaho, yet keep the trust open for future stuff?? Is he smoking crack? Typical politician.. and Yes a Lobbyist is a back door politician, and Sierra Club is a lobbyist organization …..
What he really meant to say was… we want support from the mountain bike community. We however want you to trust us on what we know is best for you! I’m on staff with Save Our Canyons. 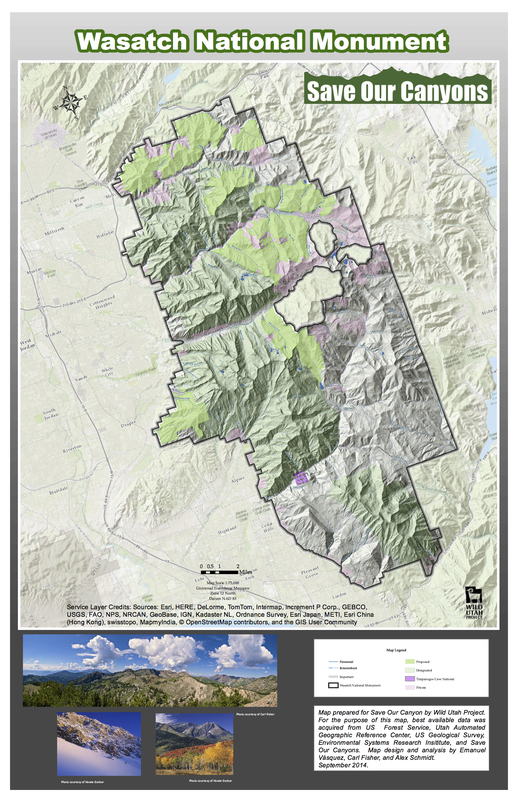 SOC has never proposed closing the Wasatch Crest trail. I’m not sure where you’re getting this information, but there’s absolutely no truth to the claim that we are working to close the Wasatch Crest trail or other mountian bike trails in the Wasatch. In fact, SOC has been a proud partner with mountain bikers for years and we’ve worked successfully to get IMBA support for our proposals. I think we’d all agree that the Wasatch is worthy of additional protections, what SOC has proposed is establishing a national monument to protect both the lands and the uses (climbing, biking, hiking, hunting, fishing, skiing, bc skiing, snowshoeing, etc…) that are part of our quality of life, and our responsibility to future generations. Our Wasatch National Monument proposal does include additional wilderness areas, but in no way do these these impact mtn biking. In fact, with regard to this proposal we’ve supported the removal of small areas of existing wilderness to ensure Mountain biking is allowed along the BST (where some wilderness exists along the preferred alignment). SOC has demonstrated a willingness to work with all users of the Wasatch for decades and are happy to meet with anyone. Please contact us if you would like to sit, discuss this further and look over some maps together. In the meantime, we’d love to write a guest post for you detailing our proposal so that you’re readers can have the correct information regarding SOC’s Wasatch National Monument proposal. Rob – this is great to hear. Our intent is too promote dialogue as well as have users (specifically MTB’ers) take an active role in shaping the future of our lands. We are not anti-SOC simply pro-bike, and we’re encouraged to see that you’ve made an effort to work with a diverse set of users. In addition to maintaining current trail access, we’d be interested in how the proposed protections would impact future trail-building efforts. This seems to be to be a very dishonest claim. There will be dozens of miles of trail that are currently used by cyclists in the wilderness according to your map. If the plan proceeds as SOC endorses it these trails will be off limits to cycling. I’d encourage a more honest dialogue. I believe in the principals of wilderness like leave no trace but I can not trust those who use disinformation to get their way. 1. Enable social media links across your entire site as well as this page so people can more easily share your content (including this articulate post). 2. Share this directly on the Wilderness B Facebook page (I’m the originator of that page and still one of its admins). 3. Enlist advocates in the local and regional media to help spread the word. You’ve got LOTS of influential media within 150 miles. Save Our Canyons has usually made it’s decisions based on science and common sense. Park City has some of the least sustainable trails in the West, which are built for short term economic benefit, not for long term sustainability. In a recent meeting with Mt. Trails (MTF), one of the main trail promoters in Park City, MTF argued violently that there was no issues spraying herbicides within feet of water ways that are culinary supplies, this type of mind set needs to change within the Park City Trail community, If trails are built and maintained correctly in sensitive areas they are less of a target. I would urge Park City to come up with an actual long term plan for Mt. Bike recreation in their part of the Wasatch. This was recommended at the above mentioned meeting, as it was obvious there is no plan and a member of the City said the plan was he asks his wife what is best. Good plan! Instead of using this as an opportunity to Contact SOC about an ill informed post, this would be a better opportunity to Contact Park City and the trail foundations in area and urge them to build sustainable trails that are not targets for environmental issues in the future. I’d like to know if this post has been rebutted, why is it still up for all the world to see? I’m from Washington, now living in Sandy, but a Facebook friend re-posted this to the WA peeps and said the Crest would be getting closed down because of SOC’s action to get Wilderness designation for the area. So ill-informed “journalism” results in a lot of negative activity. Perhaps SOC should have been allowed to comment before the post was put up. Linda, this post hasn’t been rebutted. The spirit remains – people, specifically mtb’ers need to pay attention and take action in matters of public land usage. There are still areas of the Wasatch that are slated for Wilderness designation, just not the Wasatch Crest at this moment in time. You cite “ill-informed journalism” as resulting in negative activity, however, I’d say that anything that gets people motivated and involved in the public process on issues that pertain to them is hardly negative activity. Also, for the record, we never said that the Crest was getting “closed down”. What we said was, that if designated as Wilderness, bikes would be banned. This remains a true statement. Alex, the title of the post and some of the content has absolutely been rebutted. The title says “Wilderness designation would ban bikes on the Wasatch Crest”. This is at the very least misleading, and at worst untrue and inflammatory. 1) There is no wilderness proposal that would impact the Wasatch Crest, from Save Our Canyons or anyone else. 2) Bikes will not be banned from the Wasatch Crest based on the proposal that is coming forward from Save Our Canyons. 3) As far as anyone can tell, no existing bike trails in the Wasatch are being threatened anywhere. Perhaps it would be more helpful to post an article about how bikers can get involved with the current organizations and processes so they can be better informed and put their energies where it can really help? Earl, the title of the article is in fact a true statement, and has not been rebutted. If areas of which the Crest trail pass through are designated as Wilderness, it would shut down, or at the very least require a re-route, the Wasatch Crest trail to bikes. As recently as this past summer, the ridgeline was very much in question (see the following article – http://www.parkrecord.com/summit_county-news/ci_28347967/residents-support-wilderness-designation-tied-mountain-accord ). At this time, it appears as though SOC has redrawn their boundaries, however, if history is any indicator, this doesn’t make it any less of a threat, e.g. Boulder-Whiteclouds. Additionally, if you look at the map that is currently endorsed by SOC, you will see that there absolutely are in fact many miles of trail that would be impacted by Wilderness designation within the National Monument proposal. We do agree that details on both sides are fuzzy and we’re still awaiting clarification from SOC on exactly what the repercussions of a National Monument would mean for both current and future trail efforts. 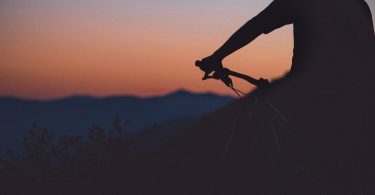 Additionally, it’s worth noting that on the SOC site – http://saveourcanyons.org/campaigns/wilderness/ the organization specifically leaves out mountain biking as a banned activity in Wilderness. Perhaps this is just on oversight on their part, however, it certainly doesn’t inspire trust on our side. We’ve posted many articles in the past about how bikers can get involved with current organizations. You shouldn’t have to look to hard to find one. Just curious as to what exact trails in Park City you believe are not sustainable? One thing to note is the PC trail network is a VERY high traffic area. No matter how sustainable a trail you build with that amount of traffic it will need some TLC every now and then. To claim that PC has some of the least sustainable trails in the west is absurd. Ive been on many trails in Colorado, Oregon, Washington that see a fraction of the amount of use the PC trails do and are far worse. To Alex’s point the Crest won’t be getting shut down, but along with the National Monument there are additional proposed wilderness areas that WILL affect mountain biking and motorized use. Not to mention that the National Monument status will make it even more difficult for future trail development. The mere suggestion that Park City has some of the least sustainable trails in the west completely negates any validity John has to say. Based on that statement it’s blatantly clear he’s either got an axe to grind or knows nothing about trail building. Not only are Park City trails among the most sustainable in the entire country, but they are also provide an economic engine that most mountain towns would kill for. But of course, in today’s world of hyperactive eco-zealotry, nobody cares about people trying to make a living in mountain towns. Park City trails experience among the most recreational traffic of any mountain town in America, and the trails hold up incredibly well. Until the blanket ban on bikes in federal Wilderness is overturned, don’t expect any support from mountain bikers when it comes to any kind of federal protection, National Monument or otherwise. The real tragedy here is that mountain bikers are among the most devoted and committed stewards of the environment, donating far many more hours per year of volunteer labor than any other user group. The federal ban on bikes forces us into a corner, making us reject what we want to embrace. Mountain bikers are not the enemy, and it’s about time other user groups traditionally opposed to mountain biking wake up and realize it. Without a doubt, Robert De Birk is just the guy to which SOC has given the task of keeping the mountain bike community at bay while they ram through their wilderness designation. “On Staff” is code for “paid lobbyist”. Google his name. He is a hired gun for radical environmental organizations. What were the repercussions to the people who lied in Idaho? Why I’m sure they were given hearty slaps on the back for a job well done, and contracts for the next project, probably right here in Utah alongside Mr. DeBirk. If the map says the trails would be in an area designated as wilderness, they will be CLOSED, period. Don’t believe these liars. I guarantee they are enlisting the IMBA idiots in Boulder as we speak, why else would he had mentioned them? IMBA has rolled over on similar issues dozens of times. They are all about money, and I’m sure SOC is working that angle. A few nice donations to keep the Boulderites happy, and IMBA will do whatever SOC wants. Well why would mountain bicyclists want to support any more Federal take away of their historically accessed trails via more Wilderness ? Takeover bye and large by a narrow minded few groups using the Federal Gov to further their own narrow, exclusionary agenda. You’d think mountain bicyclists in UT and other states would be prime candidates to support state take back and more local control since the process of equitable, human powered access to Federal lands has been so corrupted by the foot only majority. It seems like the fact that most foot only fanatics and their overlords (SC, WSociety) are pretty old and are just trying to claim all this land as their last stand and misguided, exclusionary legacy. Invest in future trails & open space. All proceeds from sticker orders now through March 15, 2017 will be donated to Save Bonanza Flats. Furthermore, we'll match all funds raised through sticker sales up to $250.